As a submariner can confirm that every window on a submarine has this. 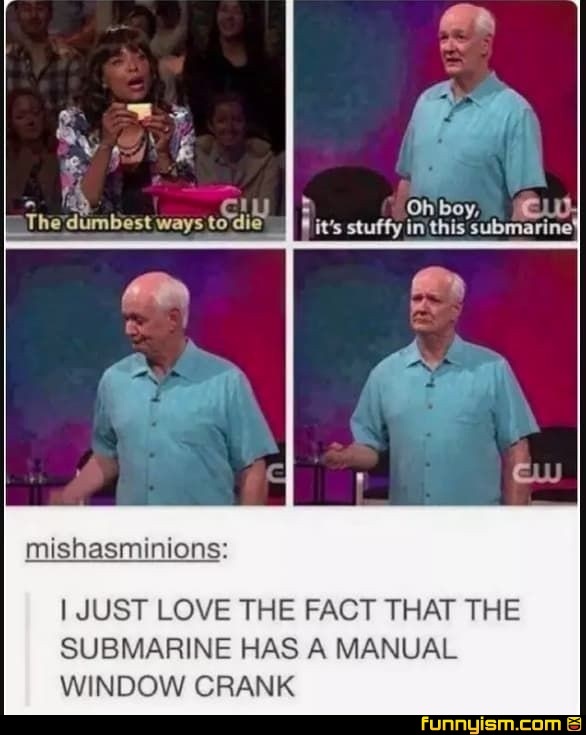 @BigJohnson86, fellow submariner here. Also can confirm that all windows have hand cranks. Biff: Oh ya Doing what? Marlene McFly: Washing my hair. Biff: That's about as funny as a screen door on a battleship. Marty McFly: *Quietly* Screen door on a submarine, you dork. @Good Guy Satan, Did... did you mean Loraine? WHY ARE YOU YELLING ON A SUBMARINE?! YOU WANT PEOPLE TO HATE YOU? Even with the screen door it was still too hot on the sub?